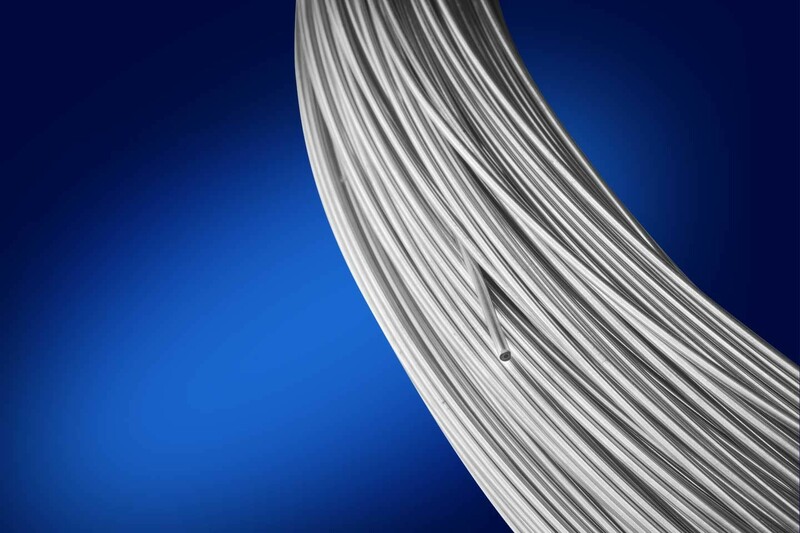 Arotubi is a leading manufacturer of precision extruded aluminum tubes. 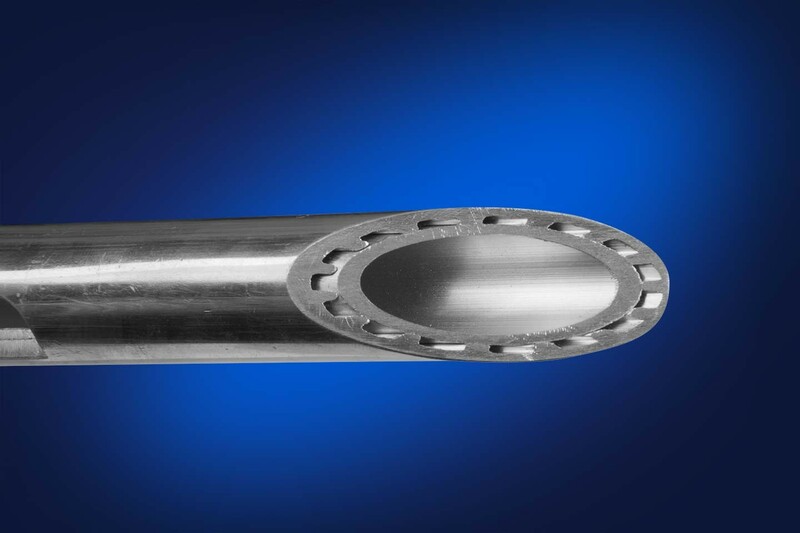 The products are supplied with tolerances according to EN standards or Aro specifications, or - for specific applications - with custom tolerances to be evaluated according to the needs of each customer. 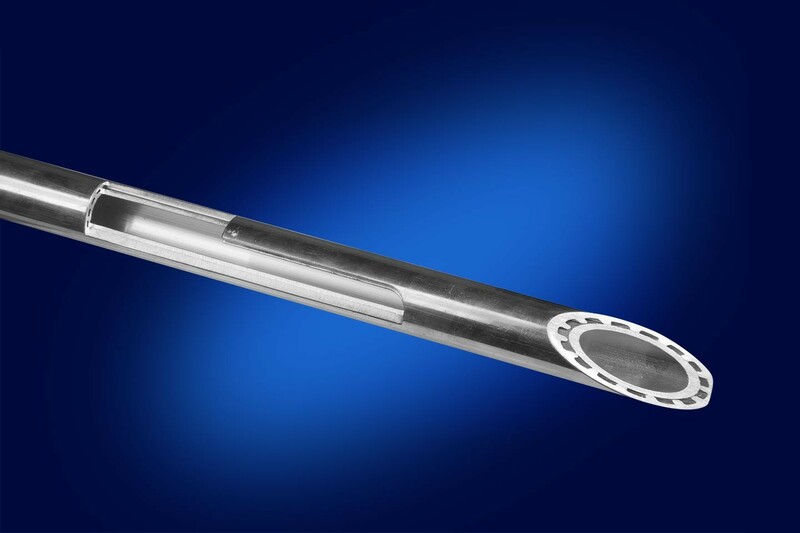 From OD 2 mm up to OD 65 mm, minimum thickness 0.30 mm. 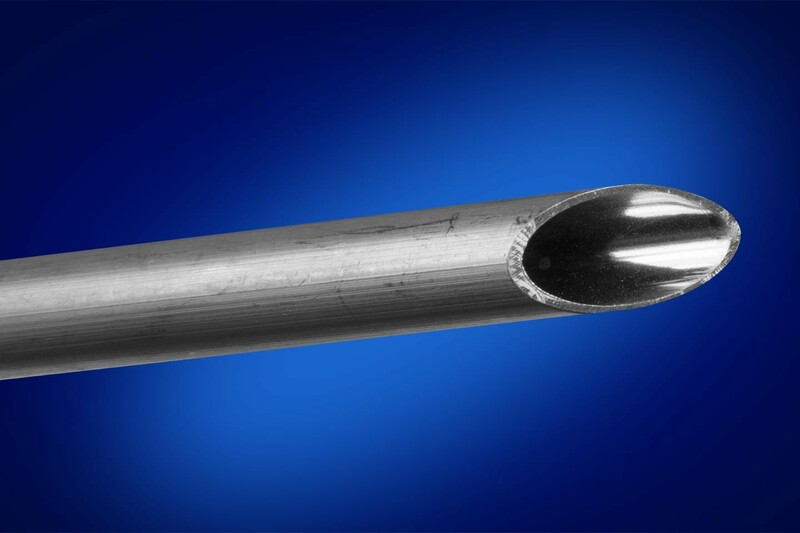 From OD 12 mm up to OD 60 mm, minimum thickness 1 mm. From OD 3 mm up to OD 60 mm. 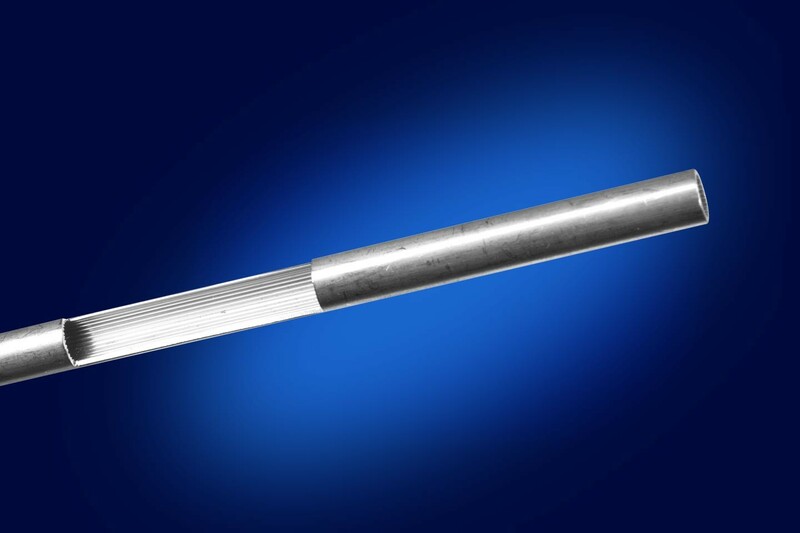 In addition to the metallurgical characteristics of aluminum and its alloys, it is possible to obtain mechanical characteristics more appropriate to satisfy customer and application. 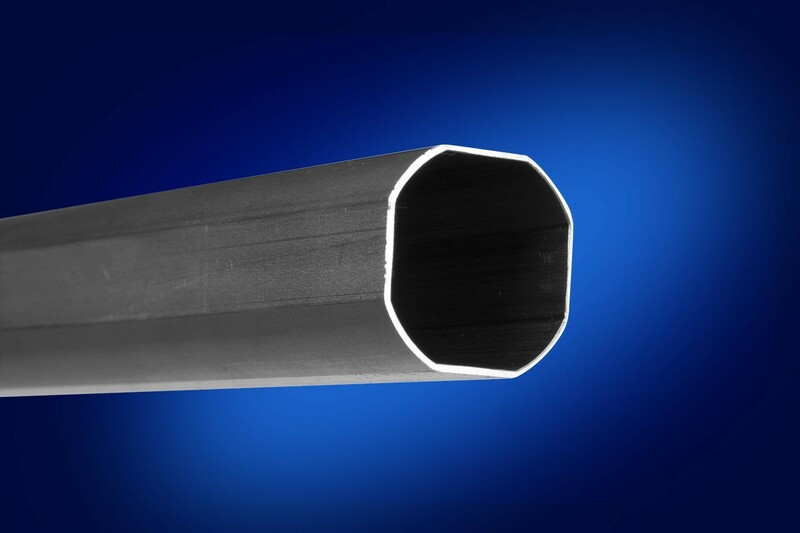 3103R alloy extruded tube with high corrosion resistance (1600 hours SWAAT vs 700 hours of an H112 pipe). 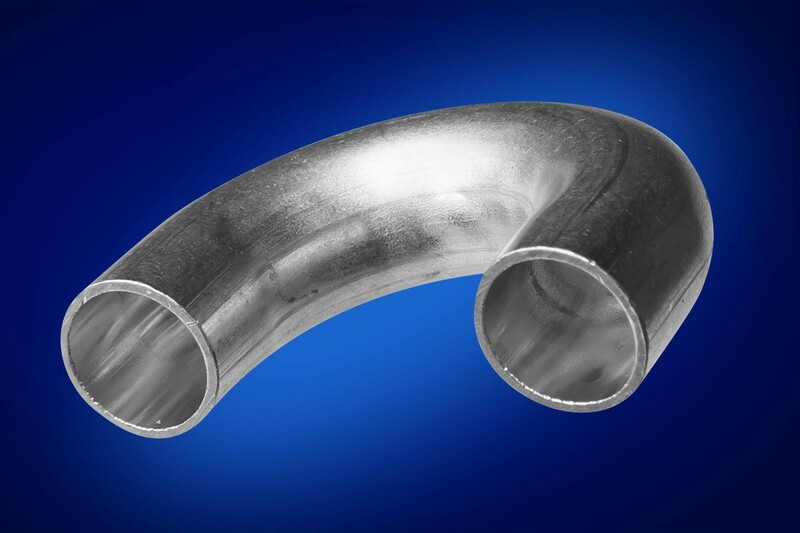 Tube designed for applications on hot water tank windings. 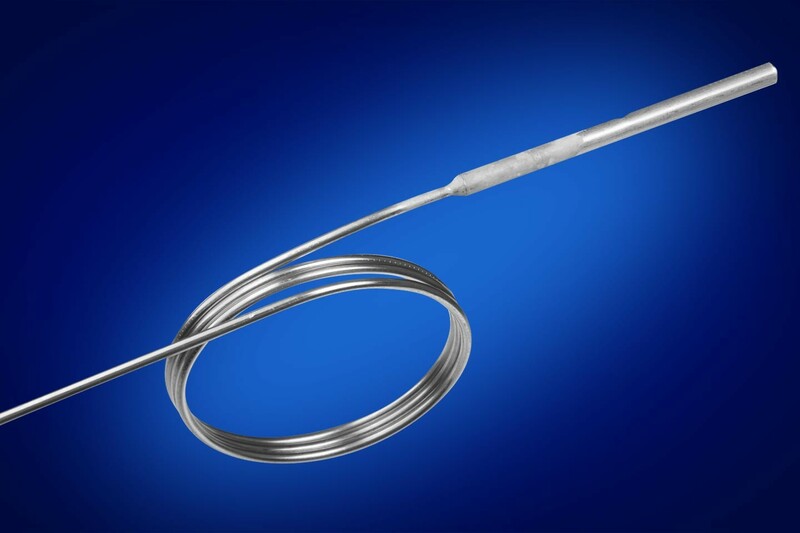 Internal Heat Exchanger, coaxial exchanger: production and assembly of the complete straight component. 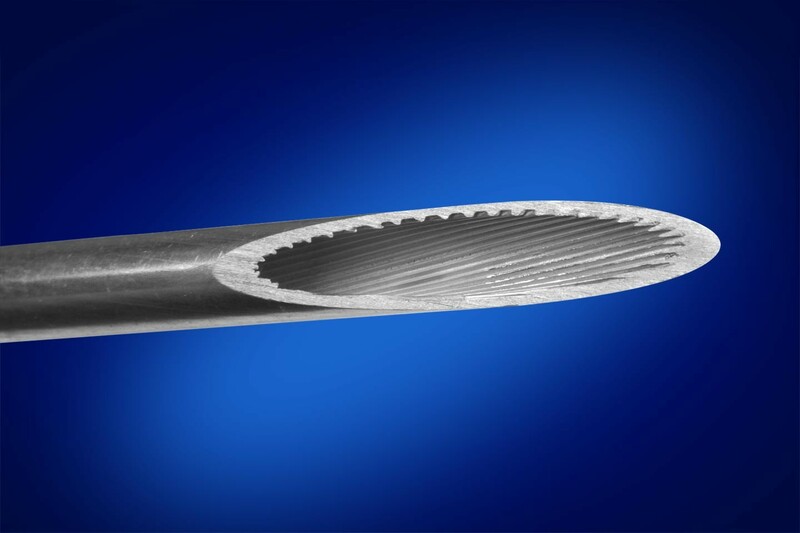 Internally finned tube with a small diameter designed to increase the exchange surface and the internal fluid turbulence. 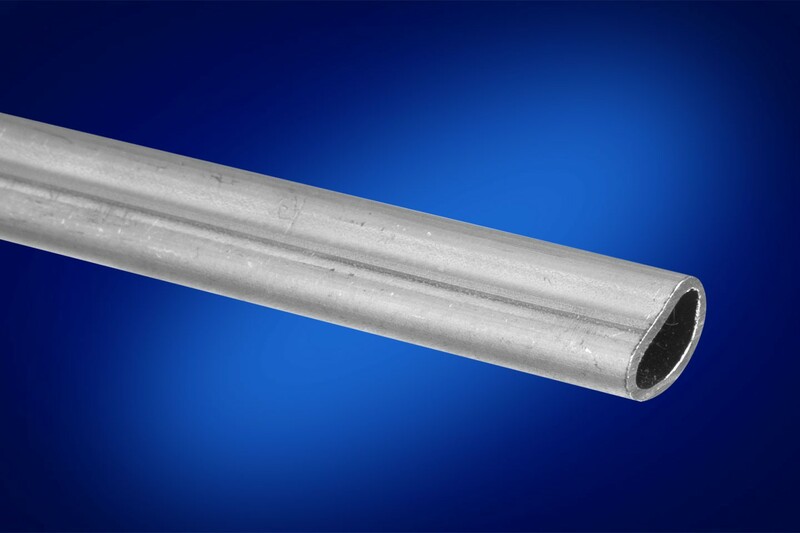 Tube designed for applications requiring high heat exchange efficiency. 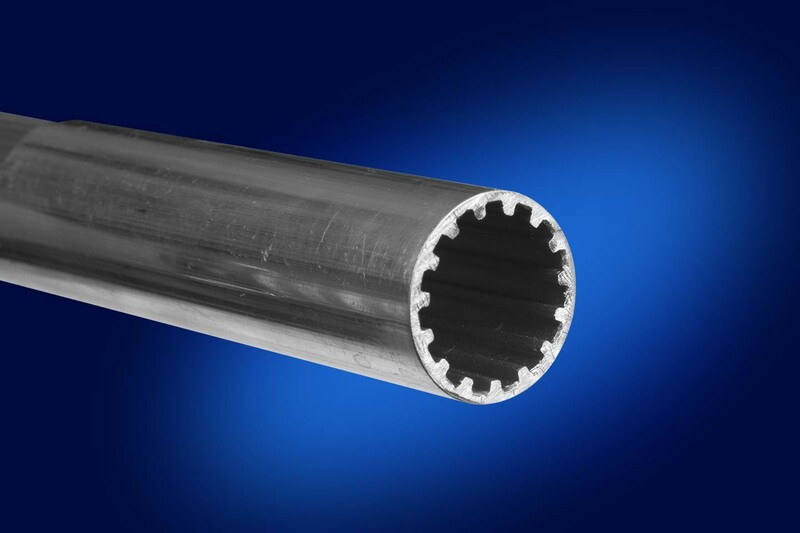 Download the aluminum tubes general brochure.